We try and get together with my family at least twice a month for Sunday dinner. Usually dinner consists of a delicious casserole my mama makes and some tasty sides. Well, now that Summer is here and in full swing we have been using their new smoker grill. 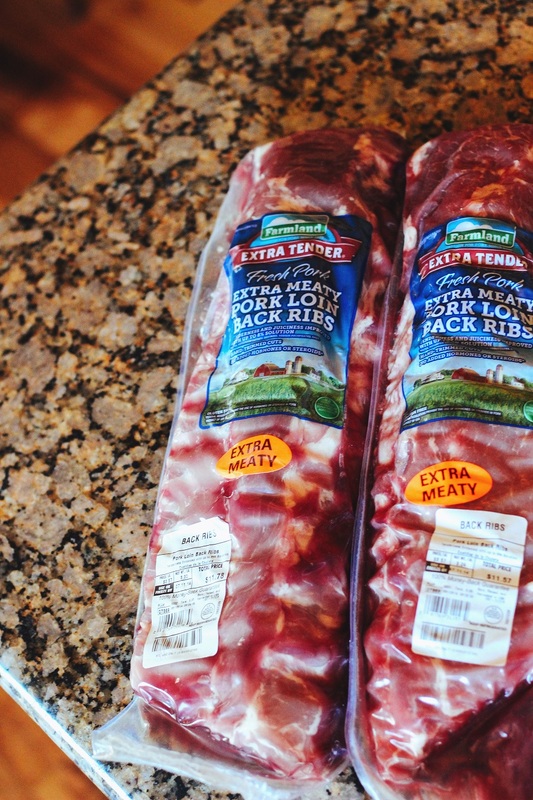 I recently shopped at my local Walmart for Farmlands All Natural Ribs. I was able to receive $1 off each package with this coupon (available while supplies last) from coupons.com. Whenever I prepare a meal for my family I strive to find products with very minimal if any artificial ingredients. Farmland All Natural fresh pork is proudly raised in the U.S.A. Fresh cuts are free from artificial ingredients and preservatives and minimally processed. If you aren't a rib fan, Farmland “all natural” tenderloin is also a great option for grilling. Prior to this cooking experience I had never cooked ribs before. I searched online for simple smoker BBQ ribs recipes but nothing was popping up. I decided to wing it and create a super easy recipe for others in my situation. 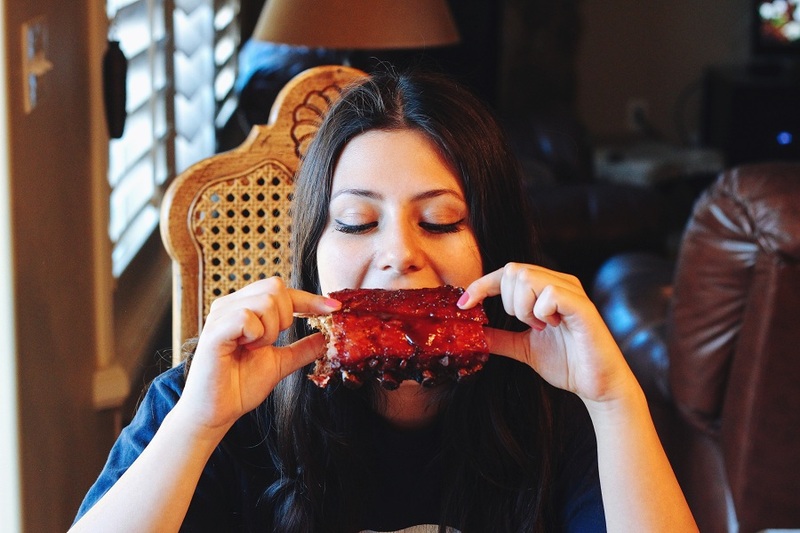 These ribs turned out so tasty and were a big hit. 2) Trim the membrane sheath from the back of each rack. Run a small, sharp knife between the membrane and each rib. It should easily peel off once you break through the membrane. 3) Generously sprinkle Johnny's Seasoning Salt (and pepper if desired). 4) Lay ribs on smoker and cook for 2-2.5 hours. 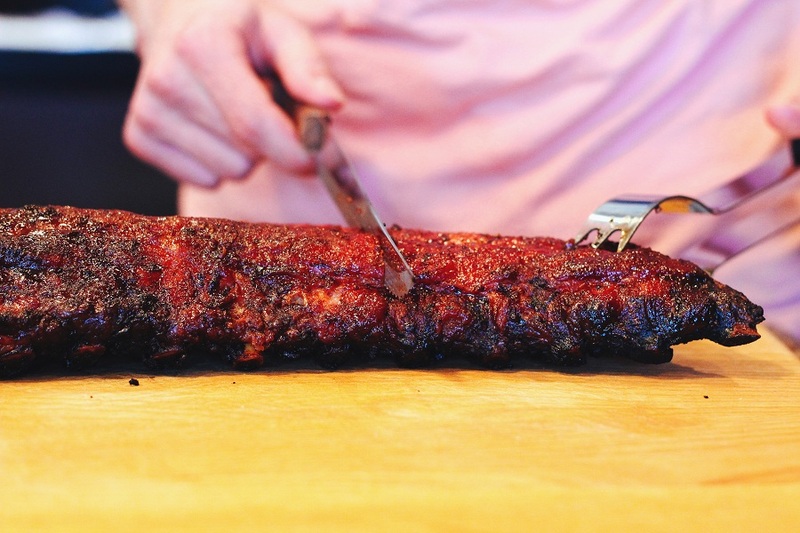 5) Brush ribs with Stubb's Sticky Sweet BBQ Sauce, and smoke an additional 5-10 minutes. For more grilling ideas and tips from the BBQ Tip Masters, be sure to check out readysetribs.com! please make them for me sometime in our lifetime when one of us has a smoker. 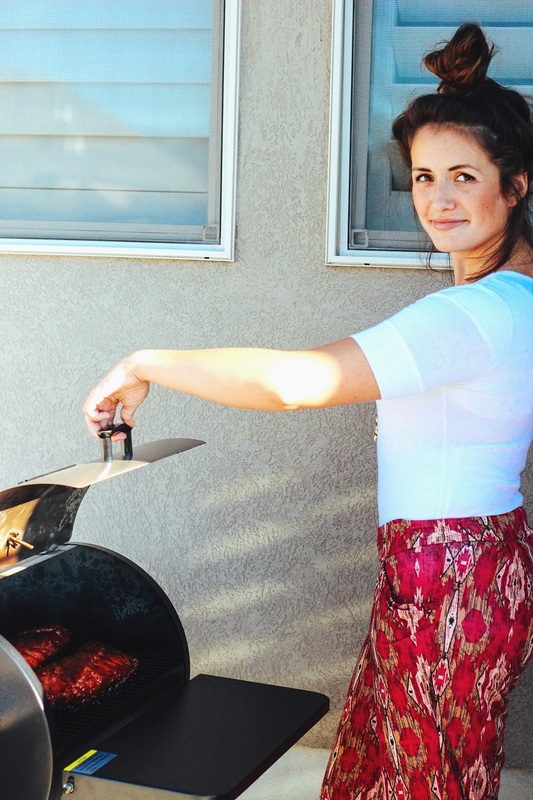 this has nothing to do with your post, the ribs look good, but i'm loving your pants!